Sacking of Anurag Thakur from the post of BCCI president is beginning of decline of his career in cricket. In a landmark judgement on January 2, the Supreme Court removed Anurag Thakur as president and Ajay Shirke as secretary of the BCCI for not implementing Lodha Committee recommendations. The court order said that Anurag and Shirke were removed as they did not implement July 18, 2016 orders. The SC will replace the top brass of the BCCI with a new panel of administrators to be decided on January 19. The SC appointed senior advocates Fali S Nariman and Gopal Subramaniam as amicus curiae and asked them to suggest the names of those deemed capable of administering the BCCI. Removal of Anurag Thakur from the post of BCCI president will also adversely affect cricket promotion projects in Himachal. He has also been president of Himachal Pradesh cricket Association for the last 16 years. 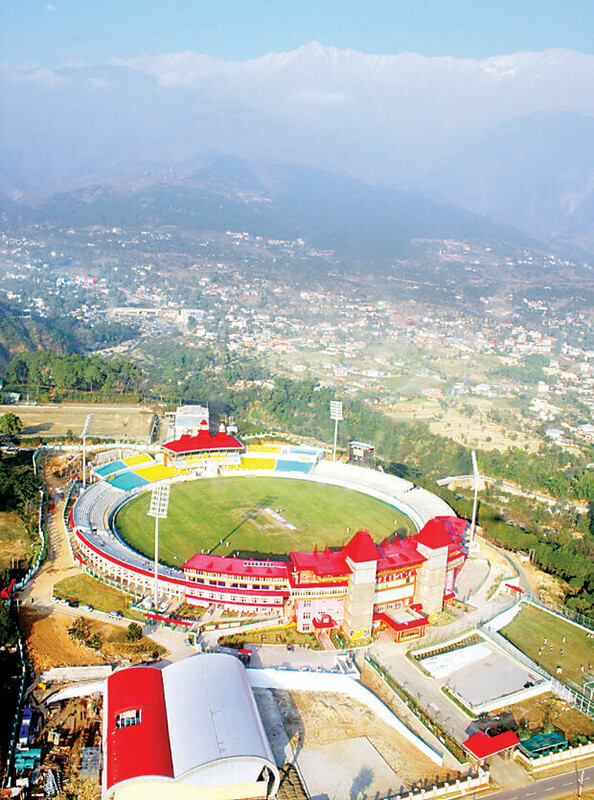 As BCCI president, he brought many international cricket matches to HPCA cricket stadium in Dharamshala. However, now this venue is unlikely to get more favours with regard to holding of international cricket matches. And it would be a major setback for the tourism sector that has developed in Dharamshala in the wake of increased cricketing action. Reiterating that BCCI is the best run sports organistation in the country, Anurag Thakur, in statement said India has the best cricket infrastructure in the world built and maintained by the state associations with the help of the BCCI. “For me it was not a personal battle but for the autonomy of the sports body. I respect SC like any citizen should,” he said. “If SC feels BCCI would do better run under retired judges then I wish them all the best,” Anurag Thakur added. The BCCI is the richest sports body of the world. According to its balance sheet as on March 31, 2016, it had assets of Rs. 7847 crore in addition to Rs. 3536 cash. The board has an income of Rs. 2981 crore. It all started with spot and match fixing scandels that came to the fore in 2013. The Delhi Police had arrested three players of Rajsthan Royals for their alleged involvement in spot fixing. The Supreme Court appointed Justice Mudgil Committee to inquire the matter that submitted its report in 2014. In 2015, the SC constituted a three member committee headed by Justice Lodha. The committee submitted its recommendations in January 2016 to reform BCCI’s working. As the board failed to implement the recommendations, SC now removed BCCI president and secretary from their posts. The sacking of Anurag Thakur as BCCI president is also being viewed as a setback for promotion of cricket in Himachal. Future of many cricket schemes envisaged for the state is uncertain after Anurag Thakur was removed from the BCCI post. He had announced to establish international cricket museum at HPCA stadium in Dharamshala but now it seems to be a distant dream. The BCCI had also given a green signal to National Cricket Academy in Dharamshala but this project also faces uncertainity as the government did not provide the requisite land for the purpose. With Anurag Thakur no more holding BCCI president post, this project is likely to shift to some other state. Progress of cricket academies established in Himachal to groom young talented cricketers can also slow down. The HPCA cricket stadium was getting many international cricket matches but it is unlikely to get favours now. As a result, tourism sector will bear the brunt. Himachal Pradesh Cricket Association (HPCA) spokesman Sanjay Sharma said that executive board meeting would soon be convened after studying SC orders. The meeting will decide whether SC orders affect Anurag Thakur post as HPCA president or not, he added. The Congressmen have been targeting Anurag Thakur after the SC order. The State Youth Congress president Vikrmaaditya Singh even asked Anurag to resign as Member of Parliament on moral grounds. Anurag Thakur has let down Himachal due to his incompetence, he added. Former BCCI vice president Rajinder Jar hailed the SC order to make working of sports bodies transparent. 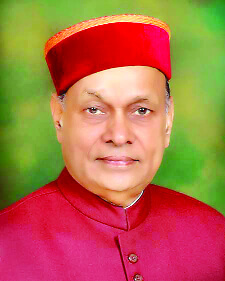 The Congress general secretary Ramlal Thakur said Anurag Thakur brought a bad name to the state by filing a false affidavit to save his chair. The Supreme Court’s order on Board of Control for Cricket in India is nothing less than a surgical strike and will affect Anurag Thakur in Himachal also. The board was not giving importance to recommendations of Lodha Committee that formed the basis for the ouster of BCCI president and secretary. It would be beginning of a new tradition after culmination of political dominance in cricket. The Supreme Court has given many directions simultaneously by taking Lodha Committee recommendations seriously. The BCCI management emerged as a villain as it was embroiled in controversies but bad name to the board will also prove heavily for Anurag Thakur. We can visualise Anurag Thakur’s future in two parts. Firstly, dominance in cricket is not acceptable under these circumstances and setback in the sport will also have negative impact on his personal achievements. The downfall from the most influential post in the BCCI will also leave its trail on Himachal cricket. The legal action against Anurag Thakur will also affect his political career. It is another matter that Anurag first made his presence felt in the sporting arena before climbing political ladder. It is difficult to analyse whether Anurag was visible as a politician or cricket projected him more. His performance includes success in Himachal cricket but his stint as BCCI president in Indian cricket can also not be forgotten. He would be the last president who got double benefit and was removed in court’s cleanliness drive. It is difficult to gauge the extent of loss to cricket due to recent happenings but Himachal will also feel the pinch over the manner in which Anurag Thakur’s innings as BCCI president came to an end. 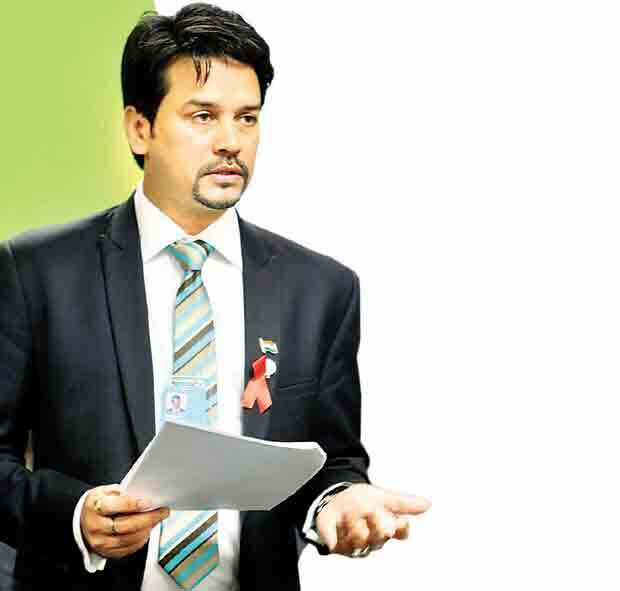 Himachal has old relation with the BCCI but it was strengthened more due to Anurag Thakur. It can be a setback for Himachal also because all revolutionary steps could be taken because of Anurag Thakur. 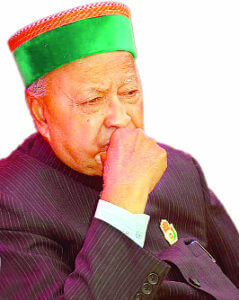 The cricket has lost only one president but Himachal has lost a big ambition. There has been close relation between cricket and politics in this hilly state also and cricket association has been viewed in the backdrop of such permutations. Himachal Pradesh Cricket Association is embroiled in many controversies with Dharamshala cricket stadium also facing black scars. The Sports Bill is pending with Governor in the midst of fight between the government and cricket association thus becoming an important aspect of state’s politics. Chief Minister has not commented on court’s order against Anurag Thakur but it will have far reaching political ramifications in future politics in Himachal.